DeWitt Dental Associates, P.C. (Denver) - Book Appointment Online! 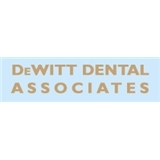 DeWitt Dental Associates caters to local Denver clients who desire some of the best care around. We offer I.V. sedation and nitrous oxide with all of our procedures and cleanings for your total comfort. Your teeth have been our main concern for over 20 years. We are located in the Cherry Creek neighborhood of Denver, CO. When you come to DeWitt Dental Associates, an initial consultation is set up to learn about your goals and expectations. Whether it’s a regular cleaning, or extensive cosmetic work, we want to ensure professional services with great results. Our doctors have state-of-the-art technology on hand to provide expert dental care in a very comfortable environment. Needed invisalign, the F.t was excellent. The professionalism was superb, everyone should be treated with the skill that I experienced.